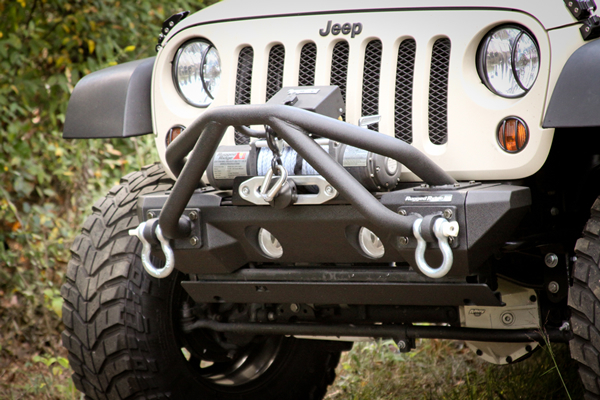 If you’ve been looking for a new bumper for your JK and weren’t looking to spend $1,000 or more, check out the new All Terrain Steel Bumper System from Rugged Ridge. Modeled after their successful XHD Modular Bumper System, the new All Terrain Bumper System starts at $319.99 and allows you to customize the bumper to fit your specific needs. With options like the all-new All Terrain Double X Striker and removable winch plate cover, you can build the bumper exactly the way you want. The All Terrain Modular Bumper System is constructed from durable black powder coated steel and was engineered to provide 2007-2013 Jeep JK Wranglers the highest level of functionality and strength out of a modular system. The bumper is covered by Rugged Ridge’s industry leading five-year limited warranty and is available both online and through select Jeep and off-road parts retailers nationwide. 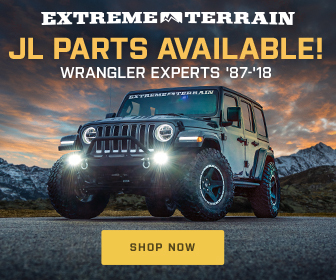 For more information about the All Terrain Modular Steel Bumper System or any of the many other Rugged Ridge parts and accessories available for your Jeep, check out their website or visit your local retailer.